EDINBURG — A police sergeant here remains on unpaid administrative leave more than three months after he was arrested and charged in connection with assaulting a family member. 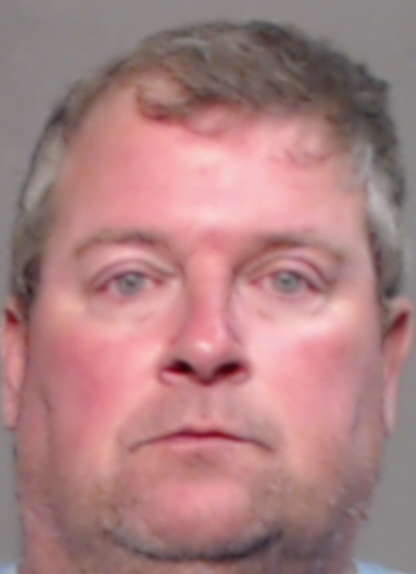 Kenneth Lee McEwen, 51, of Edinburg, faces a Class A misdemeanor charge in connection with an Aug. 25 incident at his home, where it is alleged the assault occurred. McEwen, a police sergeant with the department, was booked into the Edinburg jail Aug. 26, after officers were called to a residence in the north part of town in response to a disturbance there. After officers interviewed both McEwen and an unidentified woman at the residence, McEwen was arrested and charged with assault causing bodily injury, a Class A misdemeanor. The Monitor requested the criminal complaint related to the assault but Edinburg city officials declined to release it, instead seeking an opinion from the Texas Attorney General’s office about its release. “Due to juveniles being mentioned on the criminal complaint,” J.C. Hernandez, Edinburg Police Department records specialist, said in an emailed response to the public records request that they weren’t releasing the documents and sought the AG’s office opinion on whether they’re obligated to release the document. It’s long been common among Valley agencies to redact names, dates of birth and addresses of victims and juveniles in criminal complaints to avoid identifying them. McEwen was subsequently released the same day from jail on a $5,000 recognizance bond on one count of assault that causes bodily injury, according to jail records. Edinburg police officials confirmed McEwen’s arrest and charge on the assault charge but declined to provide additional information regarding the officer. McEwen remains an employee with the city despite being placed on administrative leave without pay since Aug. 26. Police officials said McEwen would remain on unpaid leave until his case is resolved. McEwen’s case file, prepared by Edinburg police investigators, was transferred to the Hidalgo County District Attorney’s office in September where it is awaiting a case number to be assigned. The DA’s office declined to comment as the case’s file is currently being reviewed by investigators. If McEwen, who has more than 15 years of law enforcement experience, is convicted he faces up to a year in county jail and a maximum fine of $4,000. This post was updated to reflect Rio Grande Valley agencies’ methods of redacting information.